I used to think that August had the lamest of all birthstones: the yellow-green peridot. I didn’t even know how to pronounce it. Perry-DOT? What a stupid name. I think it was in rebellion to the avocado greens of the 70s and my parents’ couch rife with flowers in every shade of green known to mankind (except emerald, my personal preference, being a May birthday). But something happened when I learned that, when articulated properly in French, it’s called “PEAR-i-doh.” And I discovered it is actually a quite beautiful and versatile color. Now I love it, and it’s one of my favorite stones. Order your peridot as part of a mother’s necklace, or with a simple stamped initial charm. 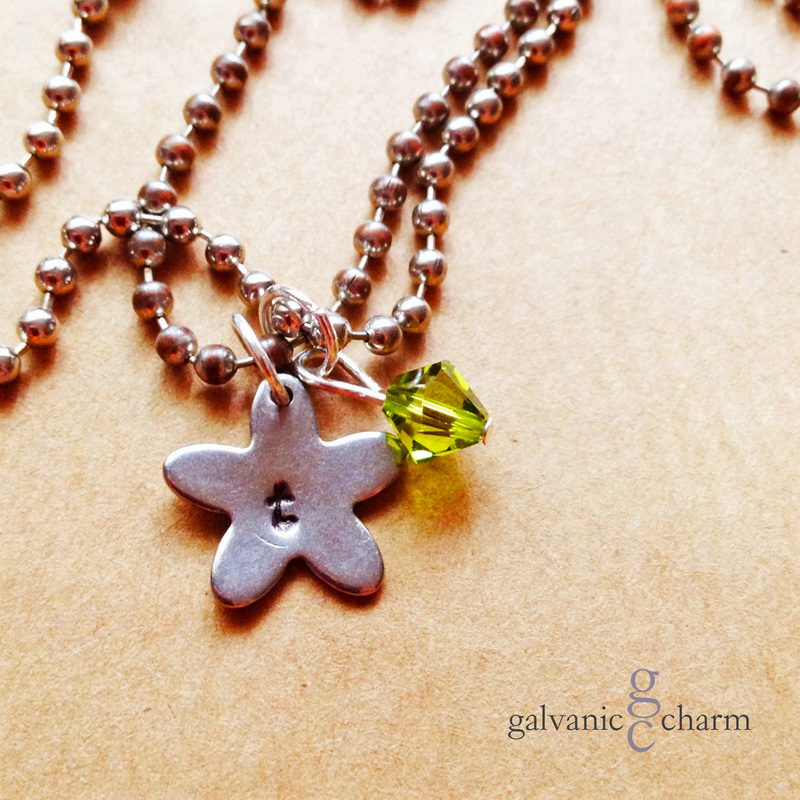 PERIDOT – Initial necklace with hand-stamped stainless steel starfish, and peridot-colored Swarovski crystal birthstone drop. Stainless steel ball chain.